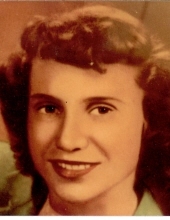 Dorothy Jean (Bailey) Johnson died peacefully of old age at NEWCare Convalescent Center on Friday, February 1st, 2019. Born March 28, 1928 to Mabel Elizabeth and Clyde Nelson Bailey, Dorothy was raised during the height of the Great Depression in Flint, MI. The first in her family to complete college, Dorothy graduated from Central Michigan in 1952 with a degree in Mathematics and English Education. In addition to working as a teacher and raising her four children, Dorothy also completed a Master’s degree in Statistical Analysis from Marquette University. She continued to excel in the field of mathematics, rising to the level of professorship at the Milwaukee School of Engineering (MSOE). While teaching at MSOE, Dorothy was also the Dean of Women. After teaching for decades, Dorothy and her husband of 52 years, Mark Lawrence, moved to Stager Lake, in Crystal Falls, MI. Dorothy and her husband, along with the help of their children, designed and built their retirement home. For two decades, their lake house was the central gathering place for family and friends who created cherished memories of card games, campfires, swimming, fishing, boating, and hiking. Despite being partially retired, Dorothy taught at Escanaba Community College, served on the school board for Crystal Falls, MI, and continued to tutor high school students well into her 70s. Her motivation for teaching was that she wanted to demonstrate the “beauty of mathematics” to others. In addition to teaching, Dorothy also loved reading, crossword puzzles, and was an avid bridge player. A beloved mother and grandmother, Dorothy lived a long and productive life, filled with family, work, and friends. Whether it was learning to hang dry-wall, teaching a college course, or hosting a dinner party, Dorothy’s strong work ethic and do-it-yourself attitude led her to accomplish nearly everything she set her mind to. Dorothy will be remembered by her family as a funny, smart, and loving woman who liked nothing better than to have a long talk over coffee with her friends and family. Dorothy was preceded in death by her parents, son (John Michael Johnson), husband (Mark Lawrence Johnson), sister (Nelda Rae Schumacher), and daughter-in-law (Paula Johnson [Collura]). She is survived by: Three children - Frank (Paula, dec.), Mark (Jill Nelson), and Margaret (Richard Hackner); Nine grandchildren - Jacob, Mark, Sarah, Jennifer, Katie, Rebecca, Elizabeth, Allison, and Jonathan; Four great-grandchildren - Evelyn, Kali, Trysten, and Ava; and numerous cherished nieces and nephews from Flint, MI. To send flowers or a remembrance gift to the family of Dorothy J. Johnson, please visit our Tribute Store. "Email Address" would like to share the life celebration of Dorothy J. Johnson. Click on the "link" to go to share a favorite memory or leave a condolence message for the family.